For many years my friend Jessica collected toasters. They were fun and often inexpensive to buy, plus toasters seemed to satisfy the curator in her since they were objects where form followed function. I grew up with a toaster, or rather a series of toasters. I even had a toaster when I was first married, but years ago I traded in my two slot chrome classic for a toaster oven. The thing about toasters is you have to put them somewhere. Certain kitchen appliances can be cleverly stowed. I remember my sixteen-year-old mind being blown the first time my friend Marisa pushed a button in her Mom’s kitchen counter which triggered the mixer to majestically rise up from somewhere below. It was as if Judy Jetson and Marcella Hazan had designed a kitchen together where space age met Italian American. It was beyond cool. My husband and I don’t drink coffee anymore so all our coffee paraphernalia is tucked away. We do not own a microwave (which I’ve been told is somewhat un-American of us but I really don’t feel the need) so that is not a contender for the limited amount of counter real estate. However our toaster oven is a major appliance in our daily lives so we gave it its very own counter. I love this toaster oven. In fact it is so great that in conjunction with a two burner hot plate I once made a lovely Easter dinner of asparagus, creamed potatoes, and a tiny glazed ham the year our kitchen was being remodeled. Toaster ovens take up more space than a regular two slot toaster but in my opinion the added functionality more than makes up for their larger size. I can reheat a bit of last night’s lasagna, toast a thin slice of bread as easily as a bagel half, or make my favorite late night snack of toasted bananas and cheese. Not having to worry about possibly electrocuting myself as I extract a burning bagel which wedged itself too tightly in the slot is a bonus. 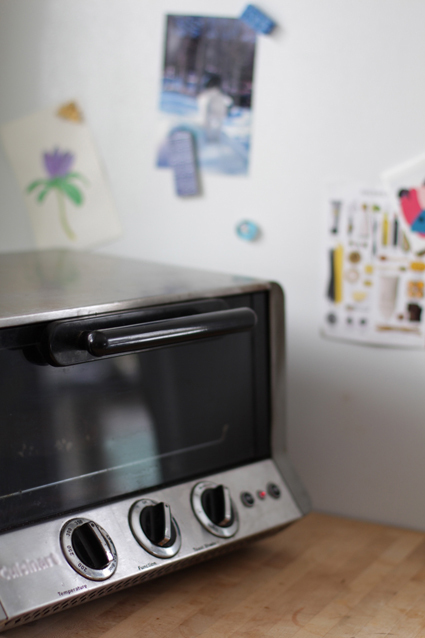 Think of a toaster oven as the Easy Bake Oven for grown-ups. I was introduced to toasted bananas and cheese when I was living in Scotland. There were many things I loved about Edinburgh – getting mail twice a day, incredible scones, milk delivered in glass bottles to your doorstep, the smokey peat of single malt whiskey, haggis (yes I really do love it), hard cider on tap, plus the proliferation of tiny stores for various edibles. Without a car I almost never went shopping at a big chain supermarket, instead doing my shopping by foot. There was a fruit and veg store a few blocks away, several good bakeries, as well as a fish shop for swimmy things, plus a lovely Italian store on Leith Walk which had a delirious assortment of pastas as well as regular shipments of fresh ricotta and mozzarella. Two things that didn’t seem to exist back then were central heating and large fridges, at least not in any of the apartments/houses I lived in. The lack of central heating meant I drank gallons of tea plus found myself acquiring an extensive selection of jumpers (sweaters). Meals were planned on a daily basis to accommodate the limited amount of fridge space. On nights when we’d go out to the pub we’d walk back home after last bell and if we were feeling peckish but didn’t have enough money to stop for fish and chips we’d go home and make ourselves something to eat. Between the teeny dorm size fridges and our limited income we often didn’t have much more to work with than part of a loaf of bread, the end of a chunk of cheese, and some bananas. I just had no idea the three could be combined. The first time my friends Alan and Sid offered me one of these late night sandwiches I was pretty sure it would be disgusting. Toast topped with banana slices and cheese melted on top? Ick and double ick, but I knew after my first bite I was wrong. It is good, in fact better than good. Put away your prejudices (if you have them) and try it. I truly can’t remember if we made these in an oven with a broiler or not, but they are perfectly suited to a toaster oven. In less than ten minutes you have a crunchy-melty-sweet-savory late night snack. 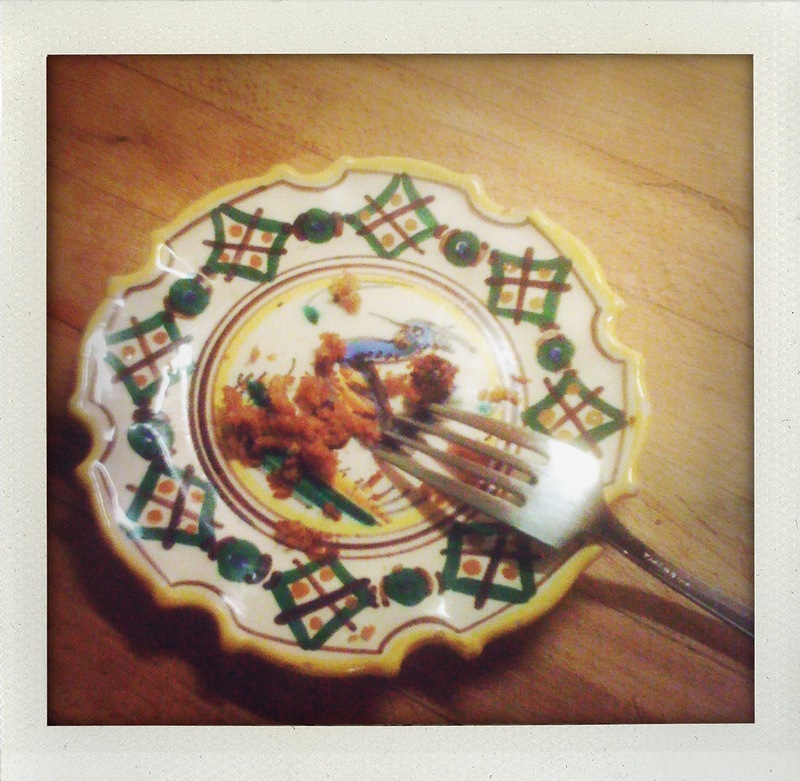 Good before going to bed but you don’t have to save them for when the moon is out, they’re also yummy in the morning. Toasted Bananas and Cheese doesn’t really need a recipe. 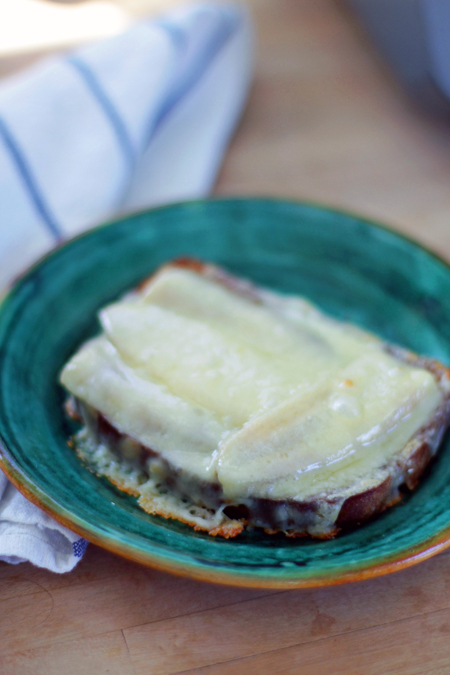 You toast a piece or two of bread for each person, then top each piece of toast with slices of half a banana, and slivers of some sort of melty cheese – cheddar works a treat. 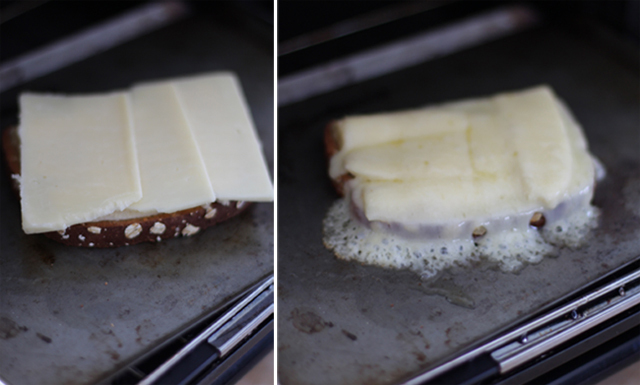 Once you’ve piled everything together pop it into a toaster oven (on a small tray or piece of aluminum foil) and bake until the cheese starts to melt and drip down the sides. Take it out then wait a few seconds so you don’t burn the roof of your mouth when you gobble it up. I’m pretty sure you’ll want more. 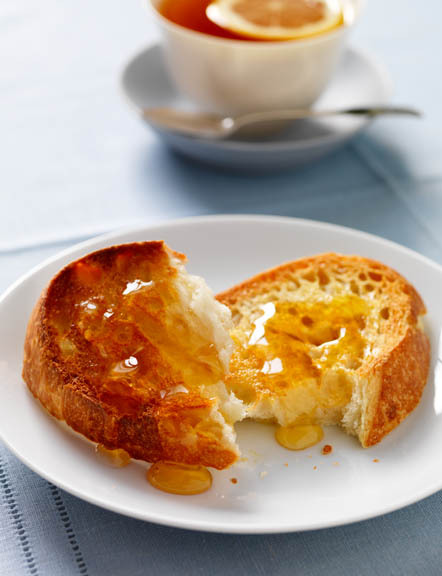 You may even decide to get a toaster oven just so you can make these. It is officially summer now. My kids attended the graduation ceremony at the Academy of Charlemont on Saturday so for our family it’s summertime! Graduation was the fun part–a party and celebration, saying goodbye to their text books and teachers for nearly three months while making plans with friends for get-togethers over the summer. In order to get to the celebratory part though they had to make it through exam week. I am so glad I’m not in school, not because of the things I don’t learn by not being in a classroom, but because not being in school means I don’t have to take exams. They’re a brutal yet necessary way for teachers to measure what you’ve learned. I helped both kids where I could with the studying part, which mostly centered around French vocab (I would say the word in english and they would tell me the French version). 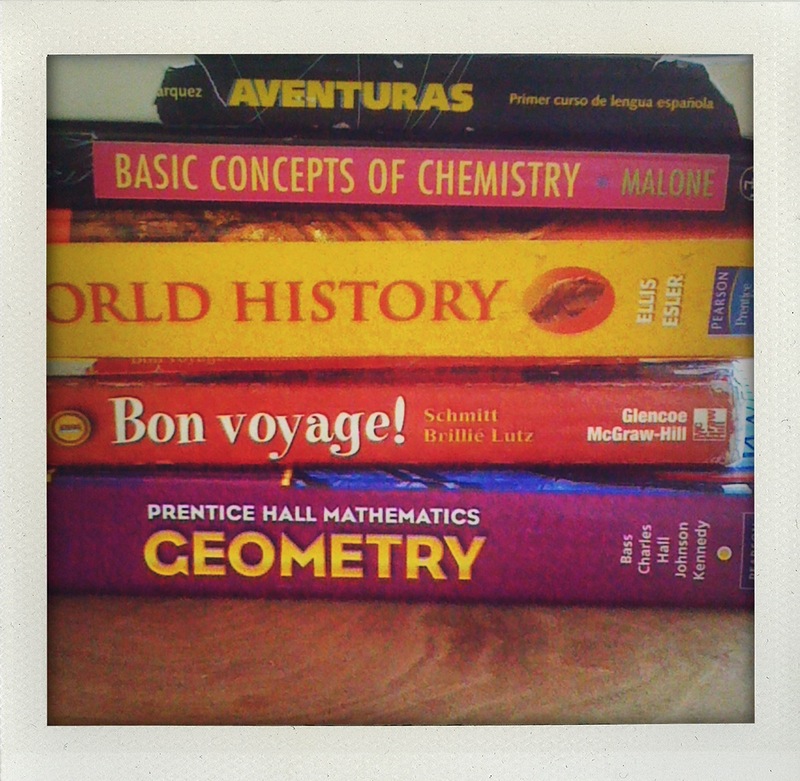 They were on their own for their other subjects because really what do I remember about chemistry, geometry or world history? My other contribution to their (hopeful) successes was to make them a hearty breakfast at the start of each exam day. Isabelle already eats an amazing breakfast each morning having taken to heart the old adage, “It’s the most important meal of the day.” So it was three more days of omelets stuffed with veggies served with a piece of dry whole wheat toast for her. Russell was a little more challenging. Sometimes he’ll have what I would call a proper breakfast (some protein, fruit, and a bit of whole wheat something), while other days I’m lucky to get him to eat a single piece of toast with jam. So for exam week I made an old favorite family recipe which the kids have been eating since they were toddlers–Silver Dollar Pancakes. The genus of this recipe is from my friends in the Nicoll clan. A pamphlet that came with my potato masher included a recipe for “Dad’s Sunday Morning Pancakes”. This recipe was adapted from an old issue of Gourmet which every member of that family subscribed to until the magazine’s untimely demise. 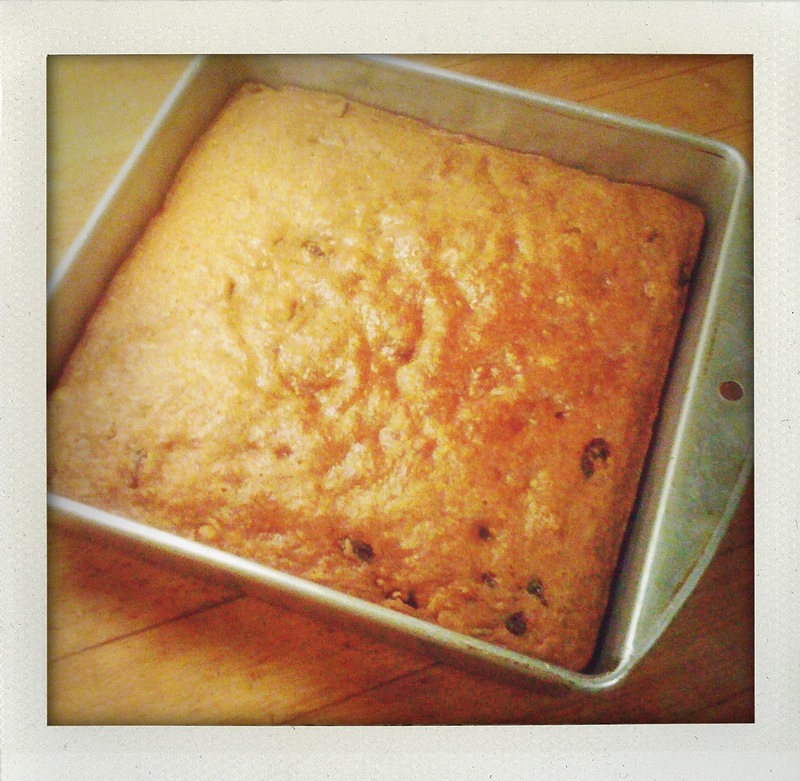 I’ve seen variations of this same recipe in the Fannie Farmer Baking Book. 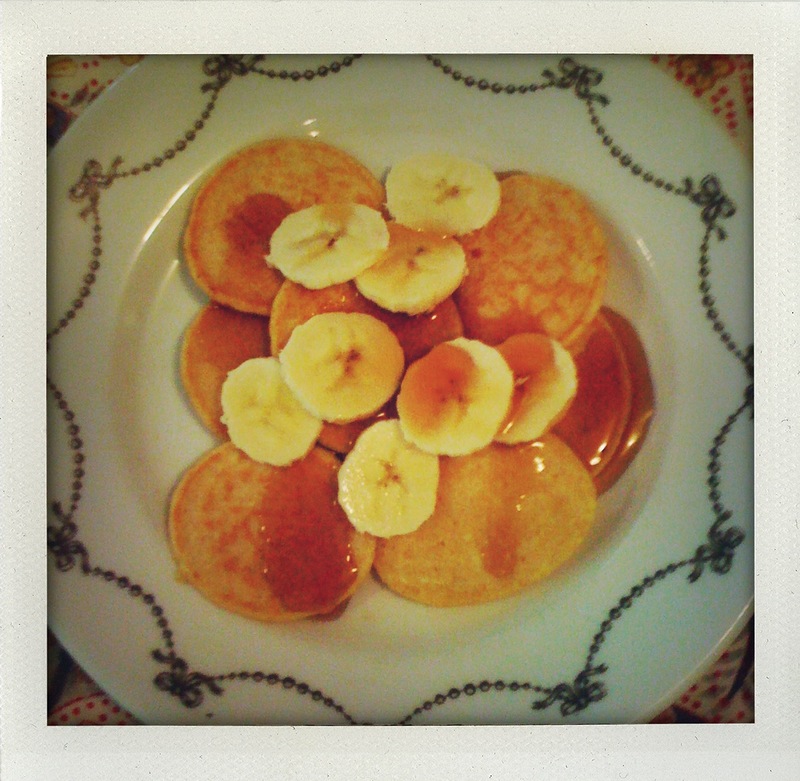 What I love about these particular pancakes is that they don’t make you feel like you’ve eaten an expanding brick after you push away from the table, which is my main complaint when I eat other pancakes (which also explains why I’m more of a waffle person than a pancake person, but more on that later). These pancakes are light and delicious with either maple syrup or fruit preserves and a sprinkle of powdered sugar on top. 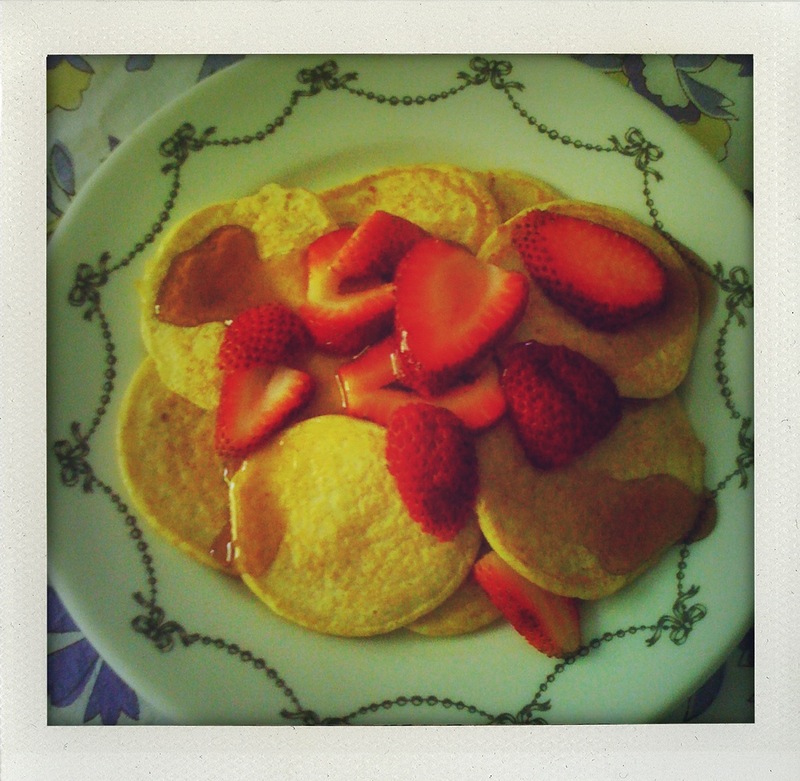 Fresh fruit works well with them too, more as a topping put on before serving as opposed to an ingredient cooked into the pancakes while they’re in the pan. These pancakes get an A+ at exam time is because they’re not only full of protein, calcium and fiber, but they’re so good nobody knows it. I melt the butter in the pan or griddle I’ll be cooking the pancakes in so that I accomplish three tasks in one–melting the butter plus preheating and greasing the cooking vesicle. Then it’s just a matter of combining the ingredients. You can use a potato masher to squish everything together or throw it all in a food processor (I have a mini one which does an excellent job) and zap it till mostly smooth. The trick to getting really picky eaters not to ask, “Eeww, what is this?” is to make the cottage cheese curds so small they are rendered invisible to the naked eye. Once you’ve got your batter mixed simply spoon silver dollar size dollops onto the heated pan or griddle and cook on medium low heat until the pancake looks slightly dry at the edges. 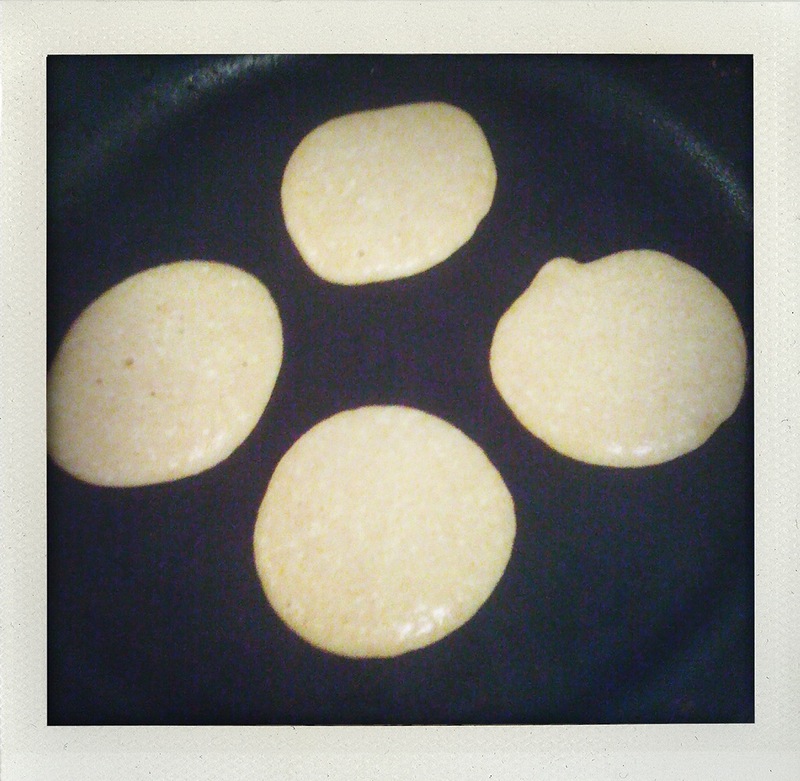 Note–these aren’t like traditional pancakes that have a lot of bubbles on the uncooked side prior to flipping, sometimes they have a few and sometimes then have none. Flip and cook for another few minutes until golden. 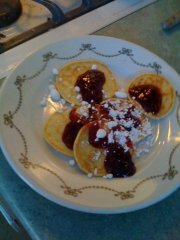 To serve top with maple syrup and cut up fruit or a few spoonfuls of fruit preserves and a sprinkle of powdered sugar. 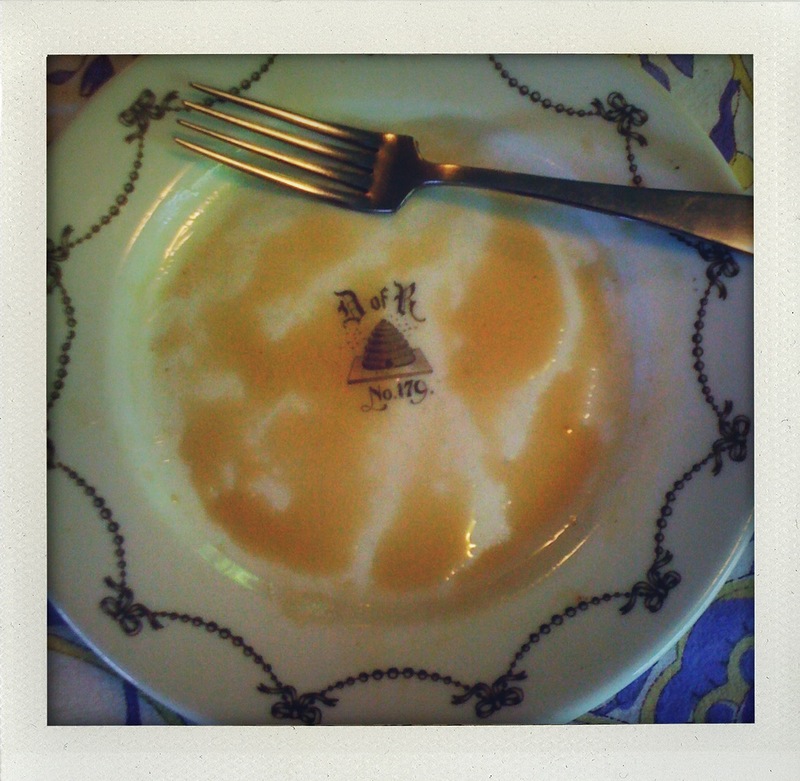 My friend Jim has assured me that it’s ok to lick your plate when you’ve eaten all your pancakes yet a small puddle of maple syrup remains. While I don’t normally think of Jim as my go-to guy when I have food related etiquette questions, I have to say I agree with him in this particular instance due to the astronomical price of real maple syrup. The exception of course is when my parents come for breakfast. Then I try to make enough pancakes to sop up all the syrup on everyone’s plate.